Rework of an old photo – inspired by a call for something blue. This was one of those shots that I struggle with in terms of questioning if it’s close enough to the image in my head; can I be content to call it a finished product or do I need to let it sink and join the fishes? Any ideas as to the elixir this bottle once held? Maalox? Wonder what/who made it float up…nice shot & did you swoop it out? Lixir of Egypt of course! 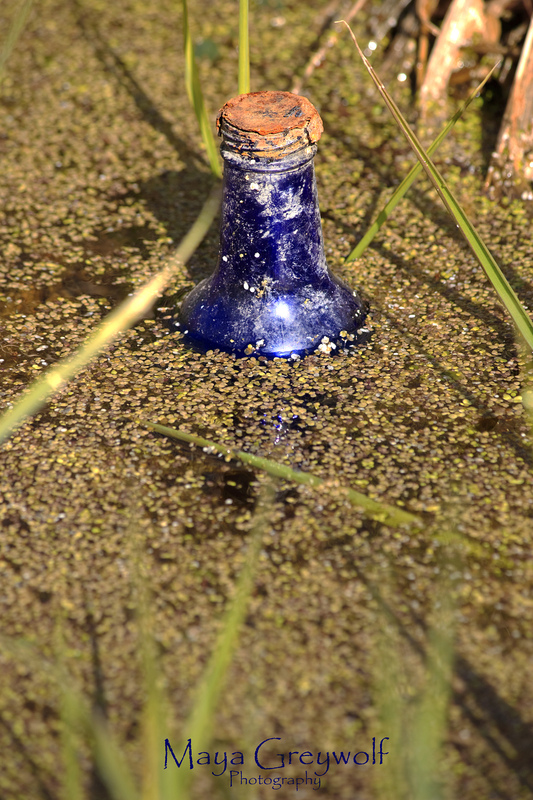 I keep expecting to see a frog’s eyes peep up beside the bottle in the duckweed. You take the unusual and make it beautiful!